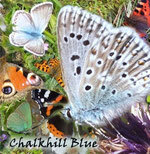 Chalkhill Blue would love to hear from you! Please enter your message in the form above, or email Chalkhill Blue at ChalkhillBlueMusic@gmail.com. Chalkhill Blue will endeavour to reply to all messages personally!